Former Governor of Osun state, Chief Bisi Akande according to the SUN News, has condemned the ongoing nationwide industrial action declared by the Academic Staff Union of Universities (ASUU) over poor funding by the Federal Government of Nigeria. According to Chief Bisi Akande, the incessant strike action by the members of ASUU had been largely responsible for poor quality graduates, whom he lamented are vagabonds and unemployable. He stated this at Oke-Ila Orangun in Osun state when he commissioned a one storey five-classroom block donated to Abolarin College for the less privileged children. “ASUU strike cannot happen in a civilized community. It’s only in a decadent country like Nigeria that people go on strike and come back to earn the salary. 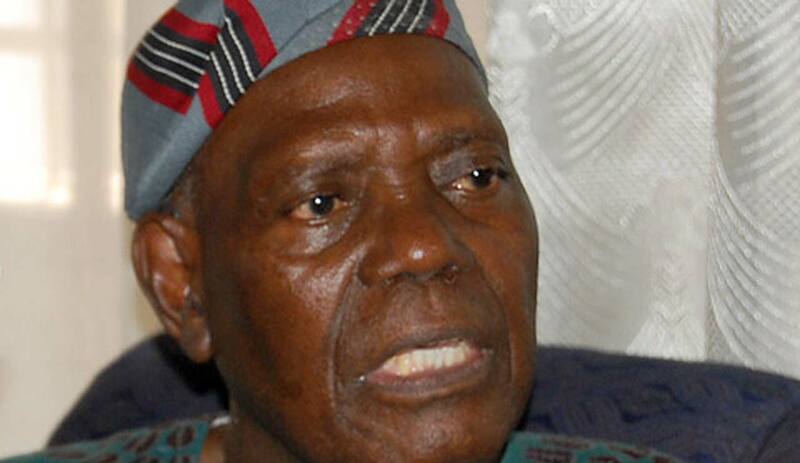 It is shameful of ASUU and it’s shameful of Nigeria,” Akande stated. “I am not calling on anybody to do anything if they are not ashamed that they are producing vagabonds for us. I am not a member of the Federal Government. “People go to the university and come back with half baked education. They are teachers of vagabonds and that is the truth. That is why Nigeria is becoming worse day in day out. “They caused the unemployment. Going on strike six month out of one year, makes them produce unemployable graduates. They are just destroying us. “Their demands are never genuine. It is because government employed them. That is why they are doing that. Why can’t they come together and establish a university for them to know how it is to fund one. Akande concluded by thanking and commending the monarch of Oke-Ila Orangun, Oba Adedokun Abolarin, the founder of the Abolarin College, for establishing the school for the less privileged children.